Congratulations on finding some pants that fit. I have big calves and big thighs even though I'm only a size 8! That's so romantic and little bit vintage even! Love your outfit! You look so cute! 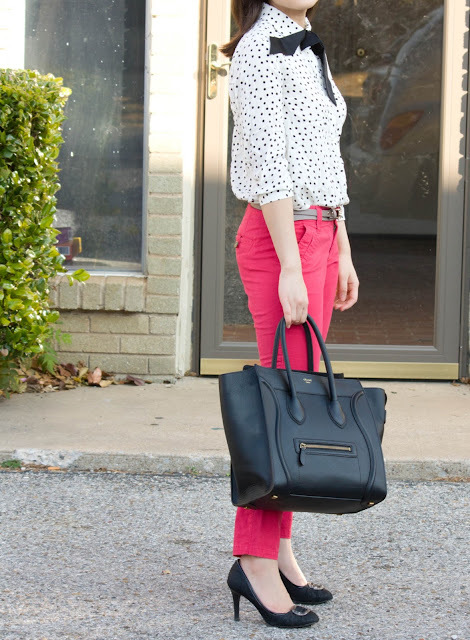 I love the polka dot top with the red jeans! 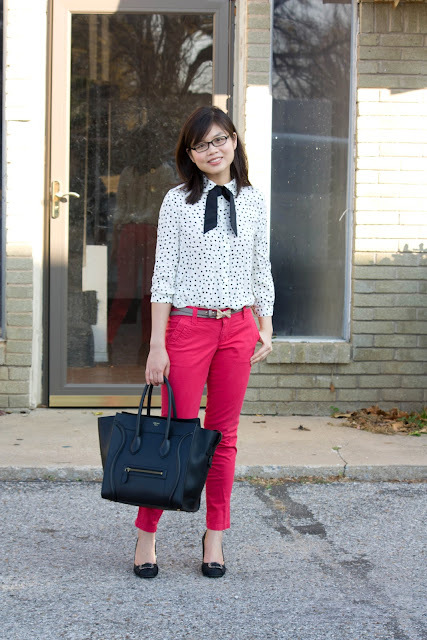 That top is the cutest, and I love it with the red pants! This zamechaelnye pants. They are precious! so beautiful and the color and design. Like how you put together from the point and bow, very cute. A beautiful Look. Hi 2petite! I love your style. U r adorable. Your post from yesterday inspired my post today. :) please stop by and follow if you'd like. I really like your outfit! Your top is so pretty! Super cute! I love your bag! !